In a project that started back in 2008, researchers at IBM have developed a computer chip that works very similarly to the way that neurons work in our brains. As a part of DARPA’s Systems of Neuromorphic Adaptive Plastic Scalable Electronics (SyNAPSE) project, IBM has released their progress with the TrueNorth system. The TrueNorth system is actually a network comprised of 48 chips that each has 1 million artificial nerve cells. 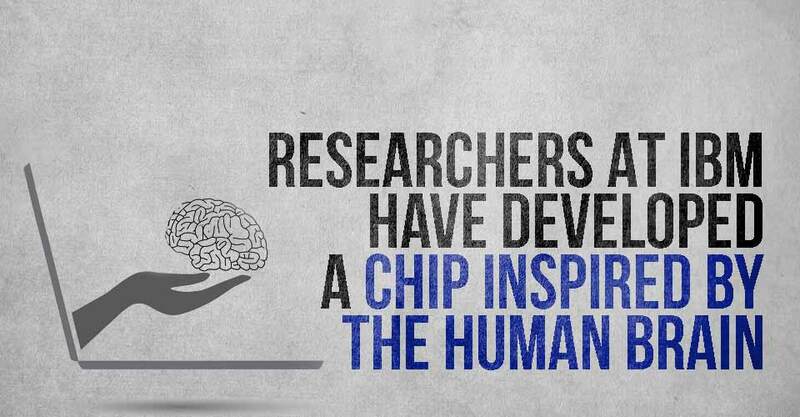 The array of chips is described as “neuromorphic,” which means they are designed to work much like the human brain. IBM was quick to point out that IBM researchers note that they “have not built the brain, or any brain” but have built “a computer that is inspired by the brain.” Traditional computers work like the left side of our brains which is the “calculator-like” side. The TrueNorth system is designed to work more like the right side of our brains which is slower, but more analytical. This makes the TrueNorth system great for things like facial recognition or instant translation.